Joining us today is the energetic and thoroughly charming Elisa Fanti, Agronomist and Family Proprietor of her Estate, Tenuta Fanti. Elisa, thank you so much for taking the time to be with me today. Elisa, you joined the estate operations formally in 2007. What were you doing prior to that? What is your primary role in the family business now? I attended University and graduated with a degree in Agronomy. I’m now mostly in charge of the vineyards and the wine cellar. Your Father Filippo has been head of the estate for many years. What is his role in the winery now? He’s mainly supervising the work in the vineyard and the cellar with me. He’s not as involved as he once was, but he oversees all aspects of the family operations. Deciding to join a family business is never an easy decision. Did you struggle in deciding to follow in your father’s footsteps? I must say that it wasn’t hard at all to take this route and make the decision. Agriculture has been my passion since, as a child, I started following my father around in the vineyards. Since then I kept admiring my father’s job and loved working with the grapes and the olive trees. 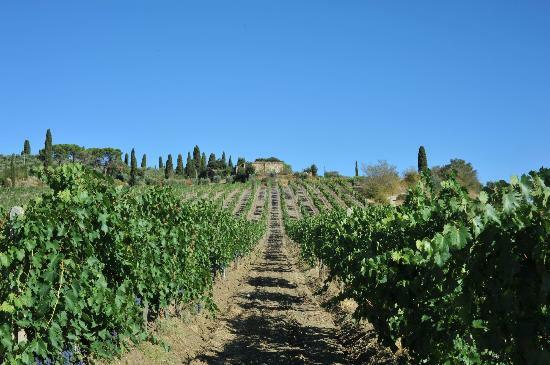 Much has been said of organic and biodynamic farming practices these days in Tuscany. It seems all wineries are striving to use those methods, whether officially recognized or not. As Agronomist, what methods do you employ in the vineyards? Green harvesting? Sexual confusion techniques for pests? Natural fertilizing? My father and I personally take care of the vineyards treating them as humans: constantly checking their health conditions and taking into consideration the weather trends. But yes, we also have to take good care of the environment. I was discussing the 2008 Brunello with your Sales Director, Luca Vitiello and I mentioned the noticeable change in color of the wine. I’ve enjoyed Fanti’s wines for years and I recall wines like the 2001 were almost black in color. The 2008 was a ruby red. Was there a change in the stylistic direction of the estate? 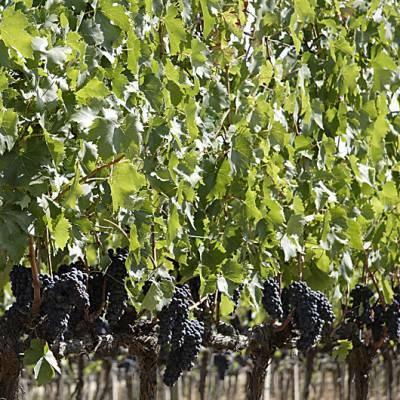 The slight change in color, that you correctly noticed, is mostly due to two main factors: First, new clones of Sangiovese, different than the ones used in the past, were planted. Now those vineyards with the new clones are old enough to produce fruit for our Brunello. Secondly, we dramatically reduced the use of barrique (225lt) in favor of the traditional botte, (3300 lt.) with the consequential impact on the evolution of the wine’s color. Now we barely age 50% of the wine in the barriques and the remainder is aged in the large botte. Va bene, that makes perfect sense, but begs the question at least as it relates to the barrique/botte – why the change? Did you feel the wines were over oaked in the past? Regarding the new vineyards coming on line, that makes sense too. But what of the older vineyards that were being used? Are they set for the Riserva bottling or are they blended into the estate Brunello? Why did you decide to replant the vineyards in question? We decided to partly switch back to the larger casks with the 2005 vintage of our Brunello di Montalcino as we realized that sometimes the impact of the oak on the primary notes of the Sangiovese was indeed too high. This decision obviously affected the colour of all our wines, including the Rosso di Montalcino made with the grapes of the younger vineyards, preserving the light ruby red color of the Sangiovese. The introduction of the new clones is due to the slow and continuous extension of the vineyards from the initial 10 Hectares to the current 50 Hectares. So we did not replant the old ones, which are still an important source of grapes for our Brunello, but at the same time we step by step introduced the grapes of the newer vineyards which had grown old enough to be Brunello. Just for your information, beginning with the 2007 vintage, the grapes from our oldest vineyard, “Le Macchiarelle”, are used exclusively in the top vintages to produce a single-vineyard Brunello Riserva. I will look for that Elisa. I would love to try it. As I said, your Brunello was one of the darkest I’d ever seen. I remember the Fanti name being mentioned during the BrunelloGate Scandal. How did you feel about those rumors? How did your father feel about them? Were you officially inspected and cleared by the Italian Government? Well, rumors will always be around, there’s not much we can do about that. But our winery was neither involved nor inspected by the government during the BrunelloGate Scandal. The government never came here so there was nothing for us to be cleared of. My father’s name was probably mentioned because, at that time, he was in his 9th year as the president of the Consorzio del Brunello di Montalcino. Ok, then let’s talk about oak for a moment. Martino Scheggi is your winemaker. Do you work with him in discussing how to treat the grapes in terms of oak aging, perhaps providing your opinion as to the level of oak treatment the grapes can withstand or need? Did he lead the charge in changing the way you age your Brunello and does he think Sangiovese needs long aging in oak to become a great wine? Martino is our full-time employed enologist and along with him we make the decisions regarding the oak ageing and the percentage share new oak versus the used ones. Now we do this together, as a team. However, when he was hired our philosophy in terms of oak ageing and vinification were already defined and he totally agreed with it. From Martino himself: Yes, I do believe that Sangiovese needs a long ageing in oak to become a great wine. Especially to become great Brunello. I think I know how you will answer this question – but it is for Martino as well: Are great wines made in the vineyard or in the cellar? Should the winemaker be a minimalist or an interventionist? As an agronomist, I would naturally say the wine is made in the vineyard. This is the reason I chose to study what I studied and this belief is constantly reinforced by my experiences. Without excellent raw materials, you cannot make great wine. You are bound by what nature provides. At the same time I must say that the enologist has a crucial role in detecting the best characteristics of the grape and emphasizes them through the vinification and the ageing. However, still, those grapes are the fruit of the vines and the soil. From Martino himself: I agree with Elisa, the work in the cellar is very important but the vineyard is where a great wine is really made. Now we’ll turn back more to your realm; the vineyards. I’ve been hearing a lot about issues related to global warming. Winters are colder and drier. Summers are hotter. What effect has this had on Fanti’s vineyards and what specifically are you doing to counter these issues? The global warming is without any doubt a big issue and it affects the vineyards and their fruits directly. It is always possible to customize the agronomic approach to reduce the effects of the warming. We are limited slightly by what the zone allows – for example, we cannot irrigate – but we can do other things in the vineyards to help retain or eliminate water drainage. Grasses and other cover crops help absorb excess rain. We can watch the canopy for light exposure, etc. 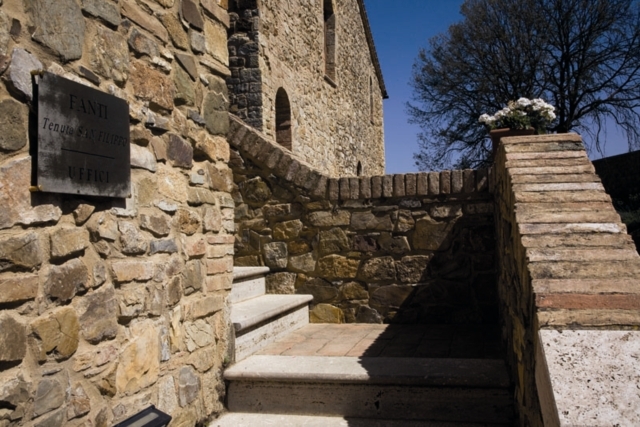 There were two major news items from Montalcino this year: the passing of Biondi Santi and the disaster at Soldera. 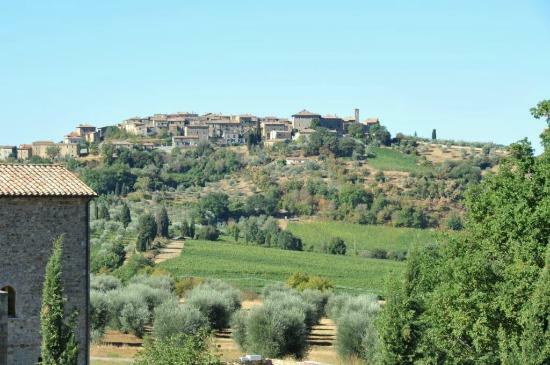 Are these issues still discussed around Montalcino? Regarding GFS, does Fanti worry about the security of its cellar or do you view what happened at Soldera to be an isolated instance? For sure Giovanni! Franco Biondi Santi’s passing away was an enormous loss for Montalcino. Enormous. He was and will remain forever a milestone of this territory. 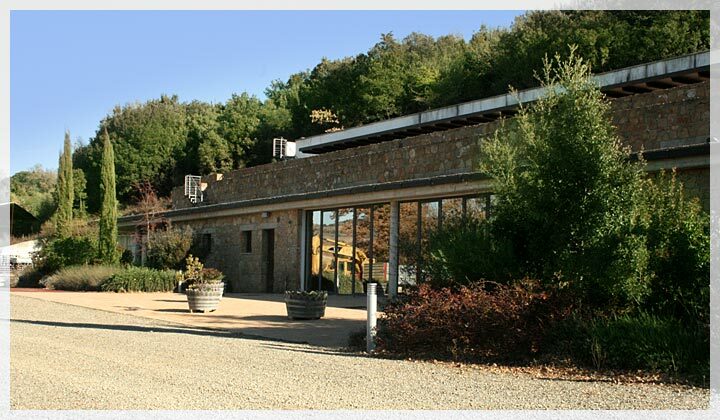 Soldera is a different story, it was proved to be an isolated instance and consequently nobody in Montalcino talks about it any longer. Worried about my cellar? Definitely not. I recently wrote an article about Brunello and the DOCG zone that suggests Brunello is at a bit of a crossroads. Do you think Brunello is suffering from an identity crisis right now? With many more markets (Asia, Africa) demanding more Brunello, and demanding different styles of Brunello, do you think the zone is at a crossroads for what Brunello should be? Actually, Giovanni, I would say just the opposite: Montalcino these days is reinforcing its identity by moving a step back towards more traditional wines through wine making techniques that emphasize the authentic character of the Sangiovese grape which is itself our identity. Our strong bond with the territory played and still plays a crucial role in the success of our wines. That’s an interesting perspective. There does seem to be a shift toward more authentic wines. Why do you think that is? I can only speak for Fanti of course, but as I mentioned above, we felt at times that our wine was showing too much of the oak influence and that it was distracting from the primary characteristics of the Sangiovese. While Martino says that Sangiovese needs long oak aging to be great, it doesn’t necessarily need barrique. What is the most exciting thing going on at Fanti right now? What is the biggest cause for concern? The most exciting thing is our growth: growth in terms of quality, in terms of the brand building process, the physical growth of our production capacity by planting new vineyards and of our team by employing young and well motivated people who bring innovation and inspiration for further development. The biggest cause for concern is the economic crises that is negatively affecting all the global sectors but we strongly believe in our job and in the objectives we pursue. So my suggestion to everybody is: think positive and go ahead! Finally, this last question has become a tradition that I ask of all my interviewees. When your work for the day is done and you get home to relax, what do you like to drink? Easy, at the moment nothing is as good as an iced beer! Ha! Grazie amica for all your time and wonderful answers. I enjoyed your 2008 a great deal and look forward to including it in my upcoming report on 2008 Brunello. Ci vediamo! Grazie a lei John. I look forward to your report. Thank you both for an informative interview. Yes, amico mio. You speak the truth. E vero! As they say.